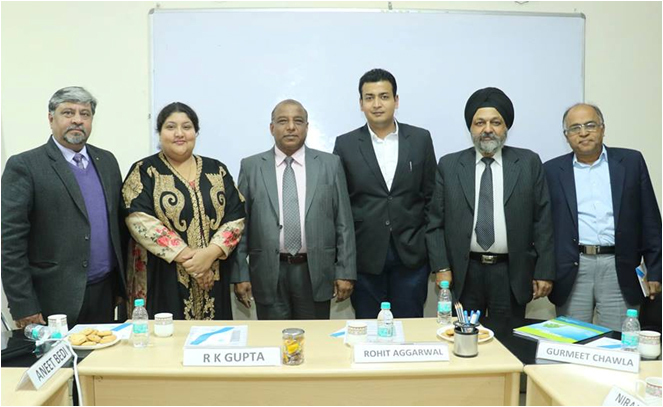 The panel discussion on Demonetisation was held on 28 January 2017 at UIAMs, Punjab University, Chandigarh. Mr. Gurmeet Chawla, Managing Director, Master Portfolio Services Limited, Dr. R K Gupta, Vice Chanceller, Maharaja Aggersen University, Baddi were the penalists, who detailed that when 86% of the currency constituting 12.2% of its GDP is squeezed out of the market and sought to be replaced by a new currency there would obviously be significant consequences. Mr. Chawala explained the relation among Demonetisation, Liquidity and Inflation very well. Dr. Gupta opined strongly that the black economy being run parallel would definitely collapse.